Nothing beats homemade stuffing at Christmas. This one can be made and frozen in advance leaving you more time to enjoy the big day! This year I am not cooking Christmas dinner. My Dad is. I can’t decide whether to be delighted or disappointed. You see, I love cooking and eating Christmas dinner. I love the turkey (preferably brined, I’ll have leg meat please), the pigs in blankets, the stuffing, the fact that there will be five or six vegetables and a couple of types of potato to choose from, the cranberry and bread sauces, the gravy and the Yorkshire puddings (don’t ask!). However, it is hard work and slightly stressful cooking for twelve people in my tiny kitchen. I have done it for the past few years and this year is my year off. This year, with Dad taking the reins, I expect we will have duck which will be cooked slightly pink and as a result will be deliciously juicy and succulent. There will be braised red cabbage (I’ve got a great recipe for this! ), a myriad of other veggies, roasties and gravy (hopefully lots). It will be totally delicious and my family will be happy, we will have had a good Christmas dinner. However, when my children heard that Grandpops was cooking this Christmas there was a cry of disappointment. 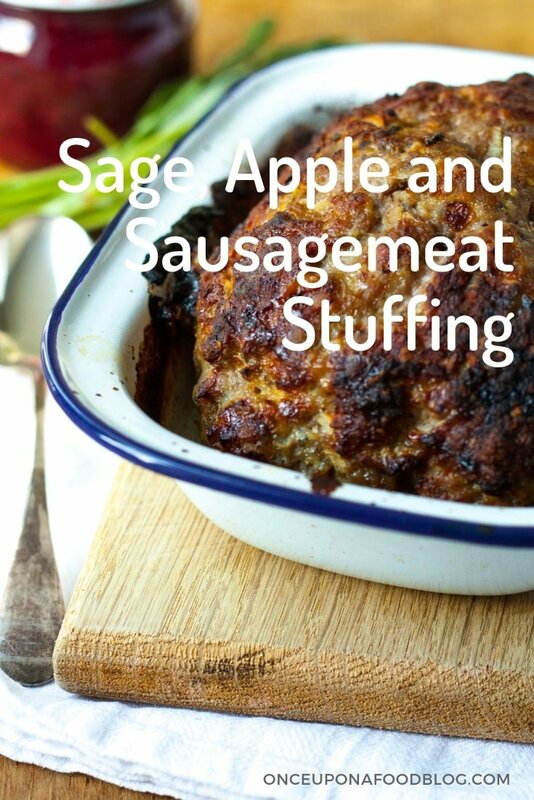 There was no way they could wait another year to eat my sage, apple and sausagemeat stuffing. So I cooked it on its own and we had it for tea. It was as delicious this week as the stand alone meat, served with mash, veg and gravy, as it was last Christmas, baked in a dish and served along-side the turkey. It really is very easy to make as it’s a simple case of mixing everything together in the bowl, shaping it and placing it in an oven dish. You can also make this ahead and freeze it. If you decide to do this then just shape the stuffing ensuring that it will fit into your oven dish when you come to cook it, wrap it in cling film, place it in a freezer bag and pop in the freezer. It will be sitting there waiting for you when you need it. Just remember to pop it from the freezer to the fridge 24 hours before you wish to cook it, to give it time to defrost. As a matter of fact, why not make two? That way you can save the other one for another day – an easy meal in the new year perhaps? 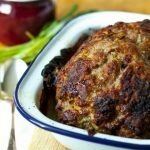 Now that you’ve got the stuffing sorted, how about some of my other Christmas and New Year recipe ideas to help you create those perfect festive moments! Place all the ingredients in a bowl and mix together lightly but thoroughly using your hands or a wooden spoon. Form into the shape of your roasting tin. 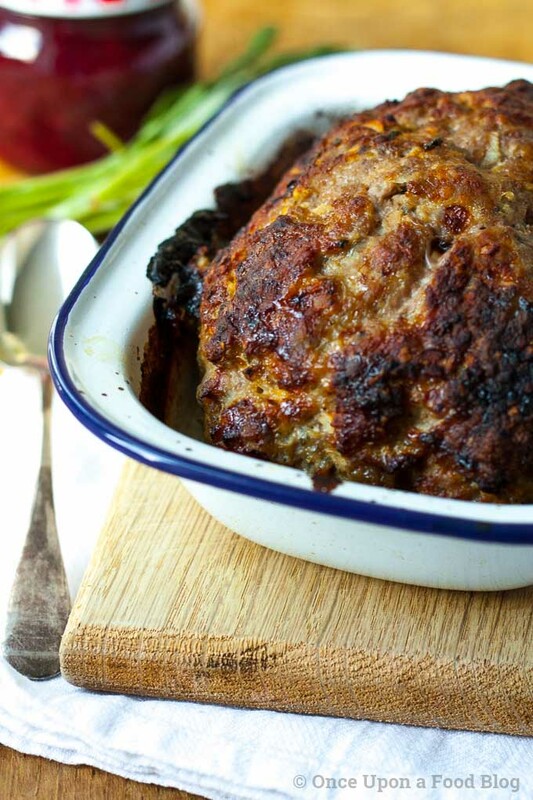 Place into your greased roasting tin and bake at 200⁰C for 1 hour to 1 hour 10 minutes. The internal temperature should be 165 F on a meat thermometer. If the stuffing is browning too quickly then cover it with tin foil. Remove and serve. The meat juices are great in the gravy.